He was speaking at the Global Digital Summit Furture in Kochi on 23 March. “"Education is part of the answer, construction is part of the answer because that creates connectivity and physical connectivity allows people to start businesses, dairy, horticulture etc but also the jobs in construction itself a wearable culture. That's the one way which helped China to grow. We can create jobs which are less threatening. We need to make people adapting to change in jobs which means flexible education and constant renewable of capabilities, some countries like Scandinavian do this very well. In India we can learn both of that," he further said. Explaining the challenges of automation and artificial intelligence to jobs, he said “There has been a steady loss of jobs in routine and unskilled segments. Routine skilled jobs are also being replaced as it is easy to automate them. In future, the routine jobs will be replaced and creativity will be in focus. Jobs that require human empathy will remain relevant. There will be restructuring across all sectors." 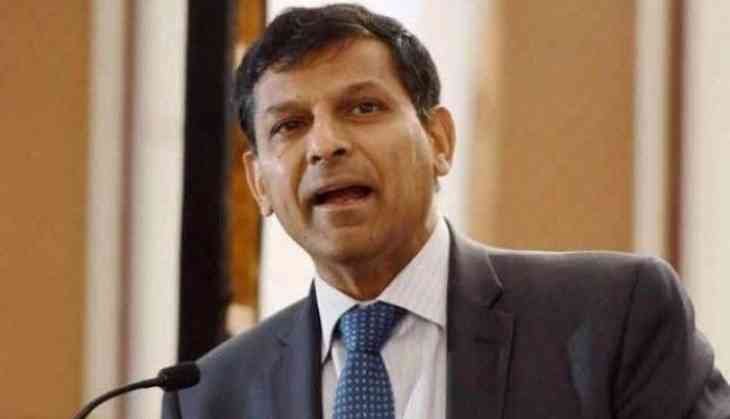 Warning of the fallouts of trade-war, Rajan said "I don't think we should take this lightly. I do hope that better sense sort of prevails and we move off from a full-fledged process of one country doing it and others just reacting and so on. I don't want to use the word 'trade war', I don't think we are there yet but I do think it's very important to stay away because it could harm the current recovery which has been beneficial for the world. And for it to do that, when the US is strong has got good employment is growing quite reasonably, it seems to me this not the time to do this."